The Senior Prefect’s Guild of Holy Family Convent, Colombo 4, recently took to the stage with ‘Night at the Movies –From the Silver Screen and beyond’ an evening of dance and music which took place last month at the school auditorium. Filled with dance, music and theatre the talented students of Holy Family Convent, brought to stage some vivid, well-loved musical scores from the silver screen. 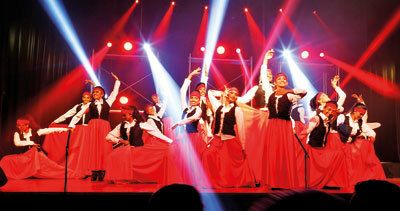 The show was held in collaboration with acclaimed Music Director Soundarie David and choreographer Roshini Gunaratne.